To say that I liked this book is an understatement: it made me reconsider what it is to be married, to grow older, to love a child and to be true to oneself, which is no small feat in a book of less than three hundred pages. 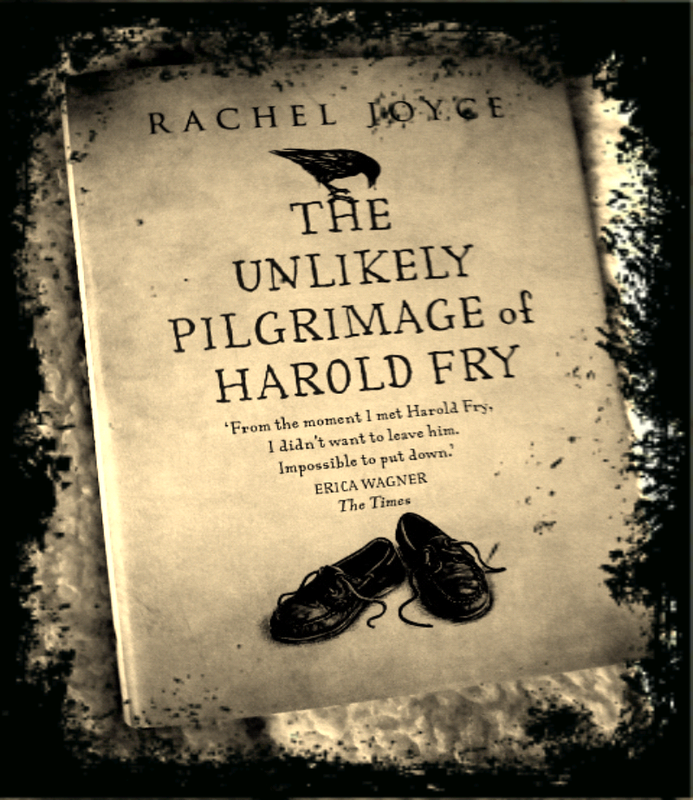 In this, her first novel, Rachel Joyce writes about the life and journey of a newly-retired Englishman, Harold Fry. As with all good books, the journey is symbolical as well as literal, but in this novel, it is more literal than most. As such, this text is the equivalent of a road movie, but in novel form, as Harold decides to up and leave his safe, suburban home and walk, in his flimsy yachting shoes, from one end of Britain to the other. This 'unlikely pilgrimage', as the title suggests, is an act of faith, in the hope that an old friend, Queenie Hennessy, suffering from terminal cancer, will not die, not until he has finished his journey of 627 miles at least, not until he says goodbye. The book's premise is joyfully simple, and we enter into the spirit of hope as we trundle along, from town to town, seeing the sights and meeting the people that Harold meets, each with their own story, sometimes heart-wrenching, sometimes heart-warming. Yet this is not just Harold's story, but also the story of Maureen; his silent, unfeeling wife. Harold tells her he is off to post a letter to Queenie saying, ' I'm only going to the end of the road'. Indeed, this is what he literally does, taking us with him, to the very end of the long, long road to Berwick-On-Tweed, and the metaphorical 'road's end' of every relationship. But a road does not only stretch before us, it also stretches out behind and it is necessary for Harold, Maureen and the reader to travel back, into the past, to discover how this couple, once deeply in love with one another, came undone. Their story could be anyone's story, but Joyce tells it in such a beautiful, piecemeal fashion, that the truth, when it is suddenly revealed, leaves us moved with compassion. Simply put, Maureen misses Harold, just as much as he misses her. The distance between them forces them to re-evaluate their relationship and to forgive themselves, and each other, for past mistakes. Maureen has no reason to bang the laundry basket about in annoyance any-more, once Harold is gone. She has to learn to pay bills and realises that she needs her husband. We are all guilty of taking loved-ones for granted and this novel reminds us to appreciate those we love, to love them despite their foibles, and because of them. I suspect every married couple I know could benefit from having a copy of this novel on the bookshelf. Something too must be said about Joyce's exceptional gift as a writer. Although a novice at writing novels, she has written countless radio plays for the BBC, and you can tell. Her dialogue flows with such fluidity and realism that the characters seem to live and breath. How could Harold Fry be a mere fiction? Having read Joyce's prose, it seems an impossibility. Her descriptions and metaphors are wonderfully original and crisp. Speaking of Harold she writes that his clothes were folded, 'as small as an apology'. Of his wife Harold notes, 'Mothering had come so naturally to Maureen, it was as if another woman had been waiting inside her all along waiting to slip out'. The beauty of the prose is at times breath-taking, and makes you want to pause and enjoy the moment, but you dare not delay, for fear of delaying Harold on his journey. This is why I recommend that you return and re-read the novel as soon as you have finished it the first time. There is certainly sadness in this novel, the sadness of loss, of growing-up and of saying goodbye. Yet there is so much love here too: the love of friendship, romance and truth. The love of being a child, a parent, a wife and a husband, it is all here, which is why the book is ultimately about being human and is a welcome reminder to us all to seize the day and share what love we can with whomever we can. And so, this is a fitting book for this Christmas season, for yourself or those you love. It may stop your silent wish to run at your husband with the turkey knife, or storm off into the snow, leaving a house full of relations behind, and for that alone I heartily recommend it. And although it sits, now finished, on my shelf, I know I will return to Harold Fry again and again, for in him I have found a friend that I will treasure always. P.S. Rachel Joyce has written a companion book for this novel - 'The Love Song of Queenie Hennessy, which you might enjoy.